LTL ( Less Than Truckload ) / Air and ocean freight. 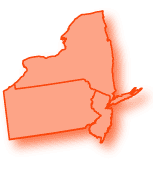 Priority courier service for New York, New Jersey, Pennsylvania, Delaware and Maryland. Superior national + international transportation service. Local expedited and dedicated trucking. Solutions to your unique delivery needs. Friendly staff members ready to serve you 24 hours a day 7 days a week. A wide variety of additional services. Network Logistics | Copyright 2010 All Rights Reserved.